The PDF is one of the most widely used document formats by millions of people. 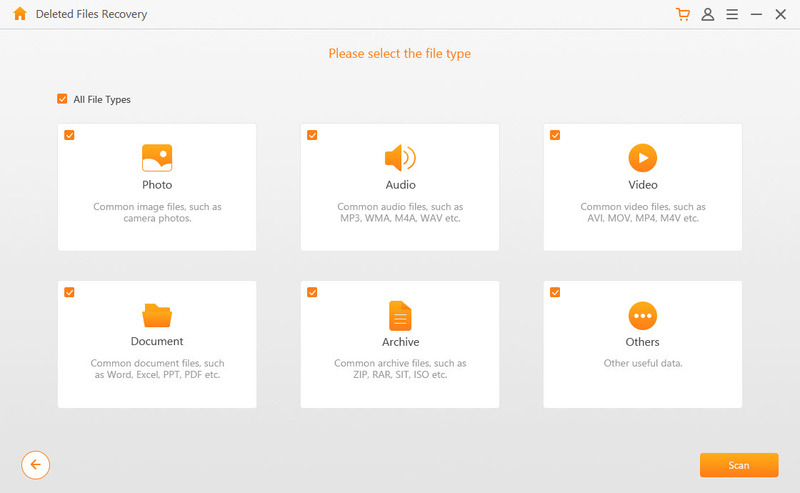 You can easily manage and access data or information via this type of file. Unfortunately, just like all other files, PDF files can also get corrupted or lost due to certain reasons. If that happens, you will need a reliable way to recover/fix your PDF files. If your PDF files got lost/deleted due to some reason, don't worry because it is quite easy to recover them. You will need to use a professional data recovery software for this. When it comes to reliable data recovery software, it is recommended that you use iMyFone AnyRecover. AnyRecover is capable of recovering any type of files, include PDF. 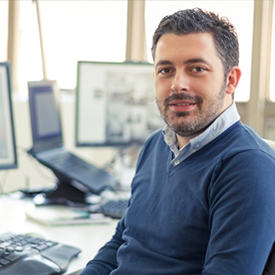 The chances of successful data recovery are very high. Recover any type of file quickly and conveniently. 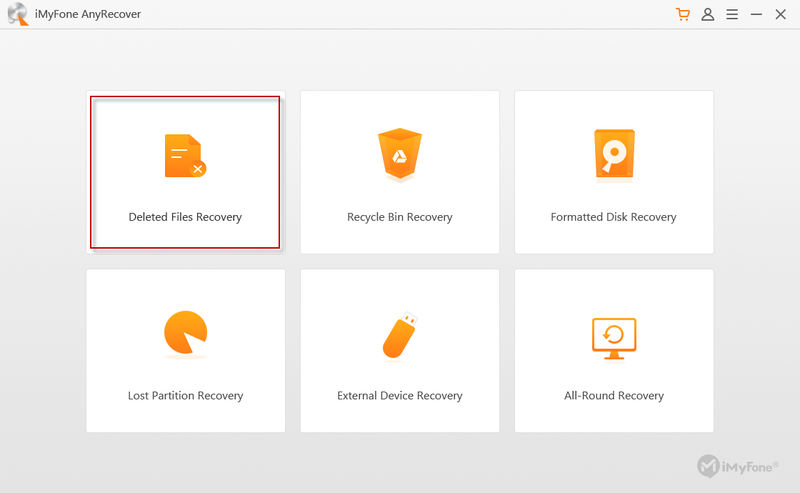 You can recover PDF documents, photos, eBooks, audio, videos, archives, etc. via this tool. All types of storage mediums are supported, including internal hard drives, external hard drives, memory cards, USB flash drives, camcorders, smartphones, digital cameras, and more. Using AnyRecover to recover deleted PDF files is 100% safe because this tool does not overwrite existing data during the data recovery process. Recover your deleted files no matter how they got deleted e.g. data corruption, virus/malware attack, system crash, OS reinstall, etc. Step 1. Install and launch iMyFone AnyRecover on your PC. From its main interface, click on Deleted Files Recovery mode. Step 2. Navigate to the location on your computer where your PDF files were stored before they got deleted. Then click the Next button to proceed. Step 3. Now you will need to specify the type of files you wish to scan for. Since you want to recover PDF files, click on Document and then click the Scan button. Step 4. Once the scanning is complete, preview the PDF files that you want to recover, select them, and then use the Recover button to start the recovery process. Adobe Acrobat Reader is the most popular PDF viewer. If you use this software to view PDF files, then it is likely that you can repair corrupted PDF files by repairing the Adobe Acrobat Reader. 1. First, make sure that your Adobe Acrobat Reader is up-to-date. To do this, launch the software and navigate to Help > Check for Updates. If an update is available, install it. 2. 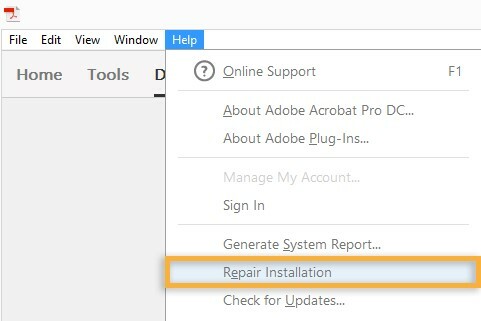 Next, navigate to Help > Repair Installation option to repair Adobe Acrobat Reader. The software will automatically check its core files and patch the corrupted ones. If repairing Adobe Acrobat Reader didn't solve the problem, then there is another way to fix the corrupted PDF file. In this method, you will need to restore your PDF file to a previous version. Windows has a built-in feature that backs up different versions of the files in case they are needed again. You can restore the previous file version in case the latest version of the file got corrupted or deleted. 1. Navigate to your corrupted PDF file and right-click on it. 2. Now click on Properties. In the Properties section, click on Previous Versions to find the version of the PDF file you need. 3. Next, click the Restore option to restore the selected previous version of the file. There are many online PDF repair tools available that you can use to repair your corrupted PDF file. These online PDF repair tools are free so you won't have to worry about any costs in order to repair your corrupted PDF files. PDF2GO is one such online tool you can use. 1. Visit https://www.pdf2go.com/repair-pdf on your favorite web browser. 2. Upload your corrupted PDF file via the Choose File button. 3. Once the file is uploaded, click the Save Changes button. After this step, your PDF file will be repaired and will become available for download. Getting your important PDF files accidentally deleted or corrupted can be a stressful experience. Fortunately, solutions are available. If your PDF file got corrupted, you can use one of the above-mentioned ways to repair it. And if it got lost/deleted, then it is highly recommended that you use iMyFone AnyRecover to recover it.